Discussion in 'Game Ideas and Prototypes' started by KayZaman, Nov 22, 2018. 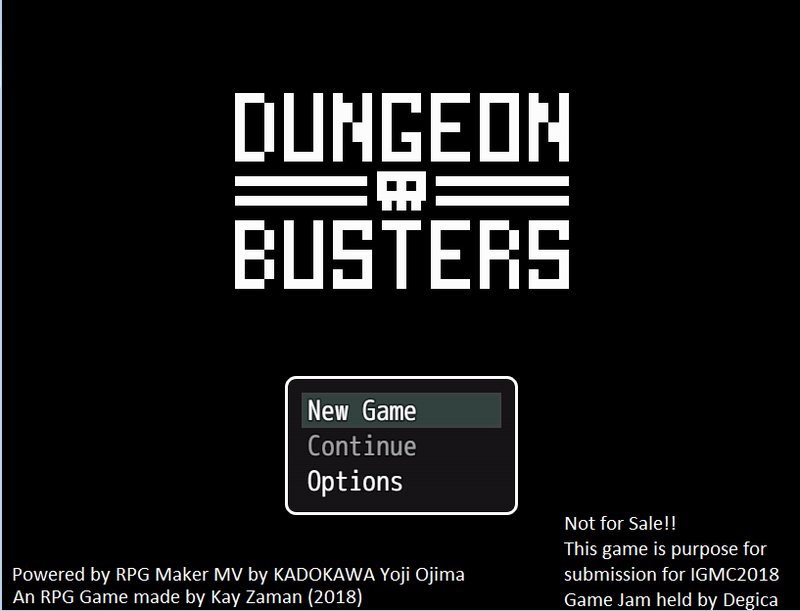 'Dungeon Busters' is an RPG game. 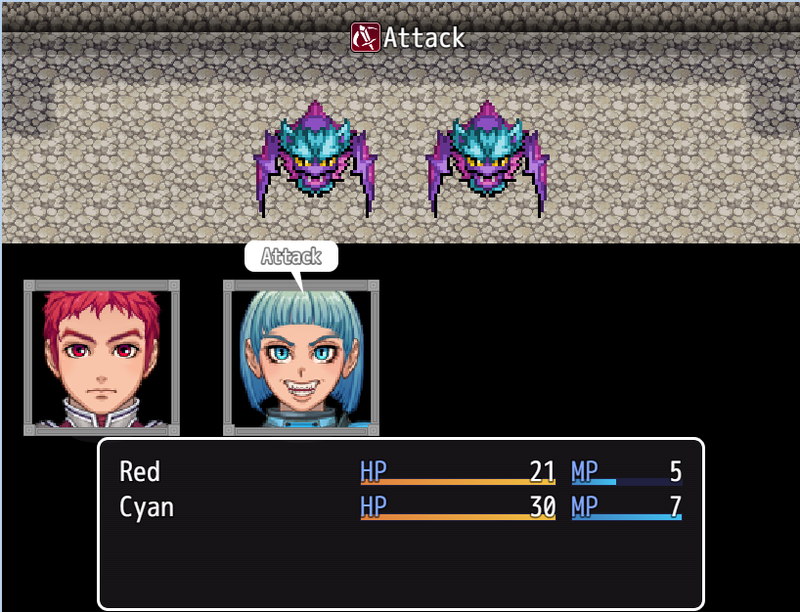 Enter a dungeon as your mission to annihilate/defeat monsters, especially bosses. 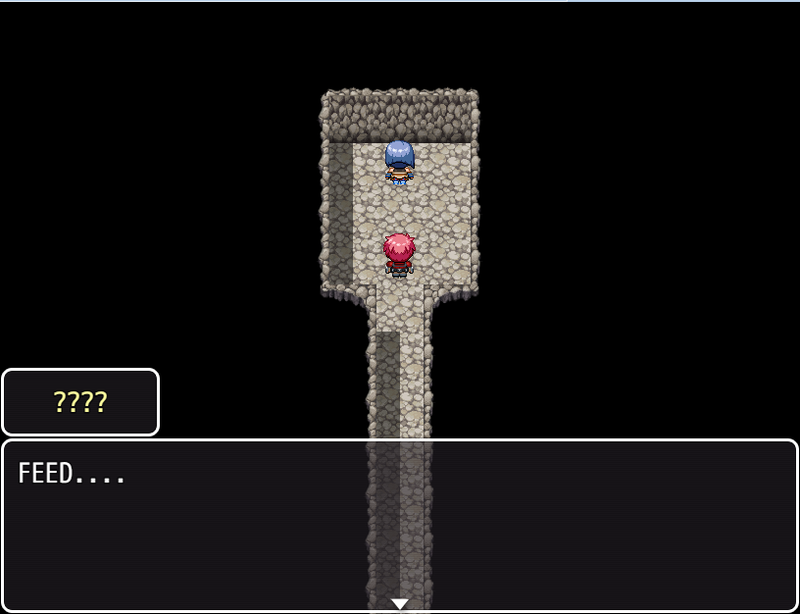 Red the hero, dungeon adventurer, given mission to enter dungeon for one purpose, defeat the boss. 1) This is for Indie Game Maker Contest 2018 Jam. 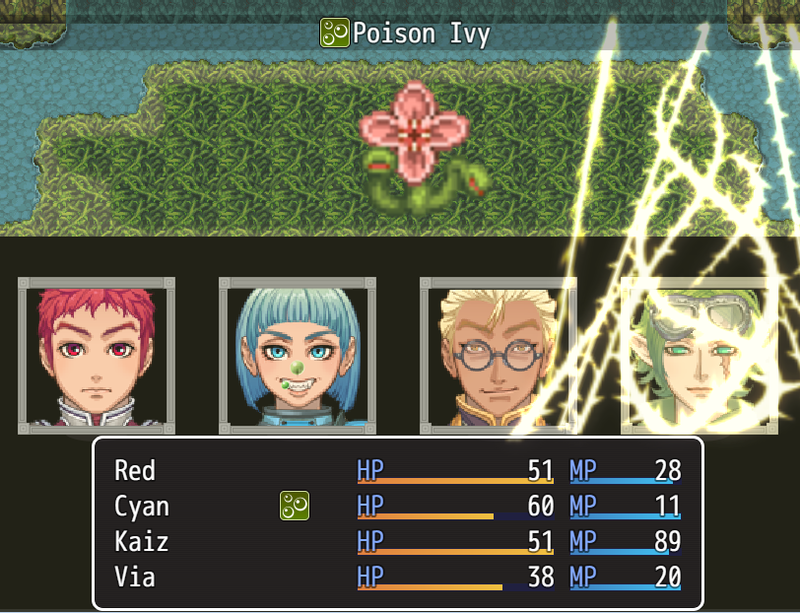 2) I hate 'First Person View'(FPV) Battle System (using RPG Maker MV) because I can't see my characters' faces and emotions. So this is my new challenge. Thus, I made it. Thanks to Yanfly's plugin (http://yanfly.moe/), I made it. They idle, attack, cast, hurt, poison and KO' by looking at their faces. Like DOOM 1993 by ‘id Software’. Extra: RPG Maker VX Ace by KADOKAWA for generator, Garageband by Apple Inc., Procreate by Savage and Adobe Photoshop Mix by Adobe. dragoonwys and Finnuval like this. YO Bro! It's your secret santa 8D I was happy to get yours since it was on my list to play. I played to the end and defeated the last boss, here is my thoughts! Those CG picture and mini interaction cutscene to lvl up: I love all the characters because of it. I like what little of them I get to see in the demo. I like Kaiz's story time, Via has some nice tunes going for her maybe she could earn money doing performance. Cyan is funny! She is one very hungry girl, I was very amused by the sounds she makes when she eats. She shared some food with me, I like her a lot. 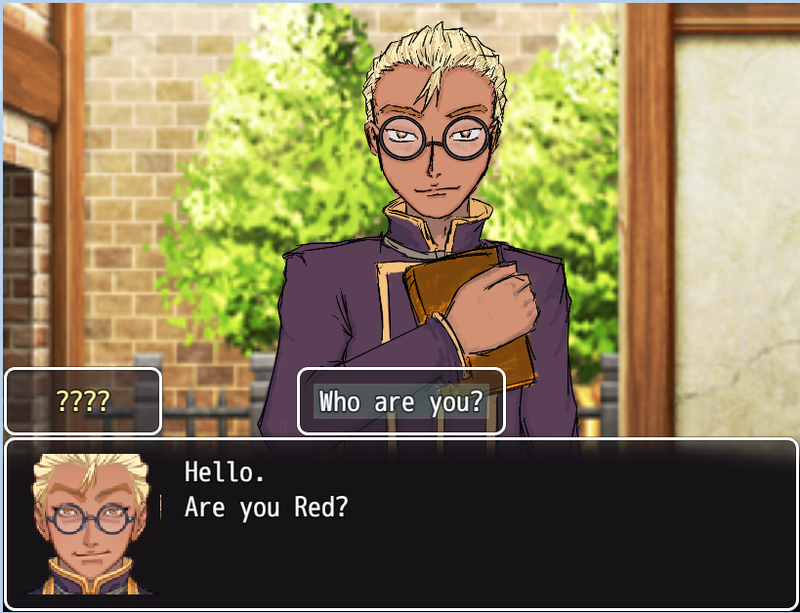 Can fix the English for dialog more but that is okay. Suggestion & Bugs: More skills to use since there is too less at the moment, but considering this is a 1 month game I expected that. There is bug in the slime level with the treasure where you get the book, when you come back one the second time you can still accidentally go into that room and you can't come back out. Maybe it has no transfer event. Overall I enjoyed this game. Even when I forgot to save and got stuck in the slime treasure room by accident, I started from the front again because it was fun and I wanted to see the ending. It will be cool if you expanded this game or make more games with these characters/concept! @dragoonwys Thanks for the Secret Santa. By the way, I played your entry.